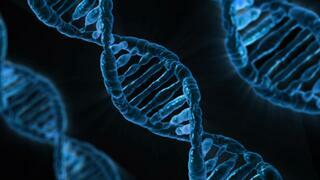 Researchers and healthcare professionals worldwide are exploring avenues in microRNA research and development. MicroRNAs are noncoding regions of the genome that help control where and when genes are activated. The burgeoning market of microRNA tools for research, diagnostics, and therapeutics has the potential to approach $1.4 billion by 2021. The rising incidences of life-threatening diseases and a growing population are among factors driving growth of this market. Companies are focusing on the advancement of superior technologies to provide higher-quality treatment and improved therapies for patients. Increased government spending and new partnerships will bolster growth in this innovative industry. MicroRNA research is still in the developmental phase. Collaborative efforts of researchers and the pharmaceutical industry are establishing microRNA as a promising therapeutic target, which is augmenting growth in the microRNA tools market. MicroRNA diagnostics and therapeutics have applications in cancer as well as cardiovascular, metabolic, neurological and other diseases. By application, cancer has the largest share of the microRNA tools market. This segment is expected to grow at a compound annual growth rate (CAGR) of 9.5% through 2021. Investigators from Brigham and Women’s Hospital and Dana-Farber Cancer Institute have identified a network of circulating microRNAs that are associated with risk of ovarian cancer and can be detected from a blood sample. Most women are diagnosed with ovarian cancer when the disease is at an advanced stage, at which point only about 25% of patients will survive for at least five years. Currently, there are no FDA-approved screening techniques for ovarian cancer. Early detection tests, such as ultrasound or detection of the protein CA125, have a high false positive rate for ovarian cancer. The Dana-Farber and Brigham and Women’s Hospital team sought a tool that would be more sensitive and specific in detecting true cases of early-stage disease. In the lab, the researchers determined that ovarian cancer cells and normal cells have different microRNA profiles. Unlike other parts of the genetic code, microRNAs circulate in the blood, making it possible to measure their levels from a serum sample. The team sequenced the microRNAs in blood samples from 135 women to create a “training set” with which to train a computer program to look for microRNA differences between cases of ovarian cancer and cases of benign tumors, noninvasive tumors and healthy tissue. Using this machine-learning approach, the team could leverage large amounts of microRNA data and develop different predictive models. The United States holds the largest share of the global microRNA tools market. An aggressive research environment and government funding for various projects related to microRNA research is augmenting growth in this area. From less than $380 million in 2016 U.S. sales, the microRNA tools market is poised for the highest growth in this region, with global expansion predicted. After the United States, the European market is predicted to achieve the second highest CAGR through 2021. Growth in European countries is due to an inclination toward research and better diagnostics in the healthcare sector. Markets in emerging regions, especially China and India, are also expanding. Asia is an attractive market for pharmaceutical and biotechnology companies because of its heterogeneous patient population. For more research and market forecasts, download the report overview for MicroRNA Research Tools, Diagnostics and Therapeutics: Global Markets (BIO115C).